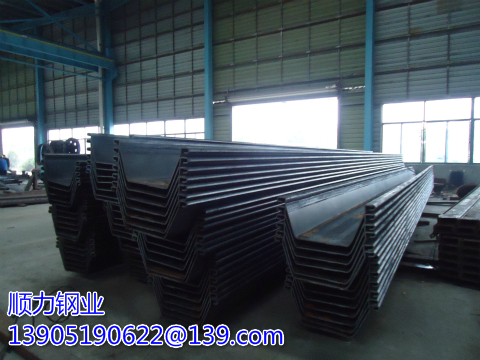 Larsen steel sheet pile construction, we are cooperating with the steel pile operator operation, then we come to introduce the Larsen steel sheet pile. 1、Larsen steel pile pile driver, must be familiar with the mechanical structure, performance, operating essentials and safety precautions, after passing the test and obtain a certificate, can be operated individually Larsen steel pile pile driver piling. 2、Larsen steel sheet pile plug the process to focus, or will be missed. 3、Larsen steel sheet pile engineering staff to strictly abide by the provisions of the maintenance of the piling machine, do a good job at all levels of maintenance, to ensure that the piling machine is often in good condition. 4、Larsen steel pile piling machine construction personnel must pay attention to the rational use of the correct operation of the pile driver and its construction process, it is best to have commanders and operators in the work before the check signal to each other, such as Larsen steel sheet pile preparation, Anti-labor rate is small. 5、Larsen steel sheet pile construction of the first layer of support set in the plug before the steel sheet pile to be set and positioning beams. Because the first layer of Larsen steel sheet pile plug requirements higher, related to the project below the other strategies. 6、diesel hammer piling machine on the role of Larsen steel sheet pile can be said to be "efficient" "simple" "accurate." Larsen steel sheet pile diesel hammer piling machine is also composed of the main cylinder and plunger Principle and single-cylinder two-stroke diesel engine is similar to the use of injection into the cylinder combustion chamber by the high pressure after the crash caused by high pressure Drive hammer work. Pair, the hammer seat under the pile cap on the top of the Larsen steel pile pile, with a hook to lift the plunger, and then decoupling down the impact of Larsen steel sheet pile, compressed closed in the cylinder air. And carry out fuel It is necessary to ensure that the enclosed gas in the cylinder reaches a sure compression ratio. Of course, we now Use the steel pile pile driver is generally using vibration hammer piling machine to operate the construction.